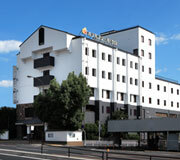 We are located a 5 minute walk from JR/Kintetsu Nara Station. Our central location makes visiting many historical sites easy. Please submit your inquiry using the contact form below. Please submit your inquiry in English. Copyright (c) worldheritage Co.Ltd.All right reserved.